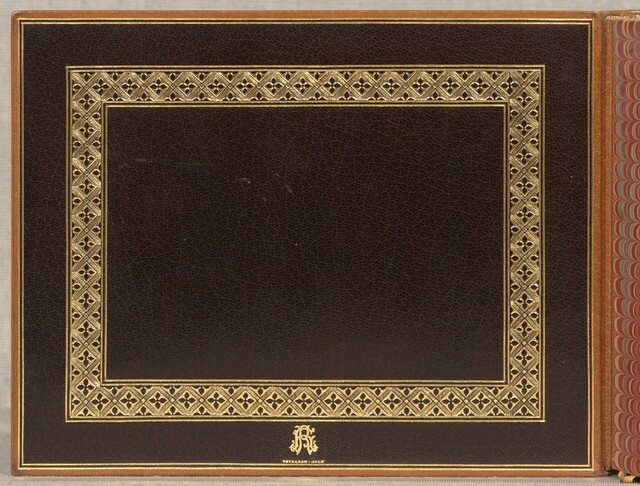 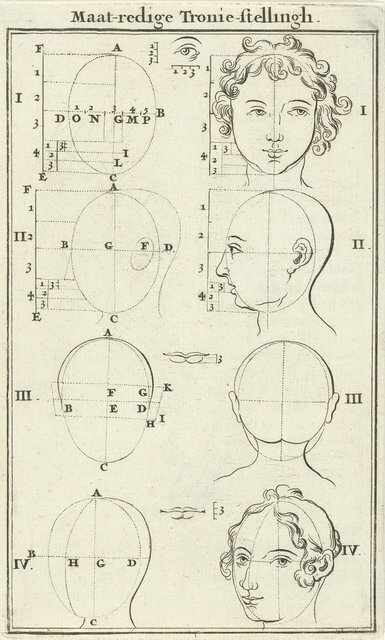 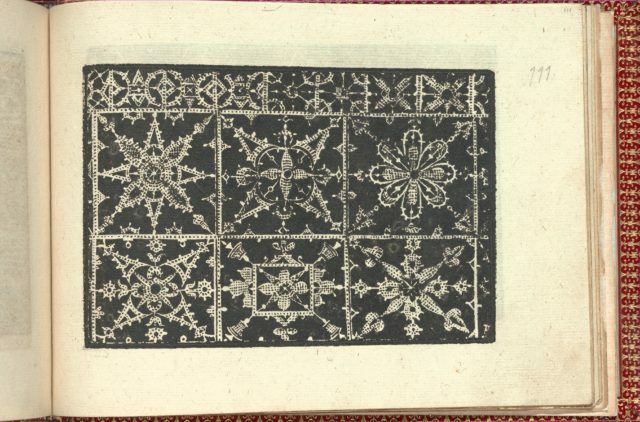 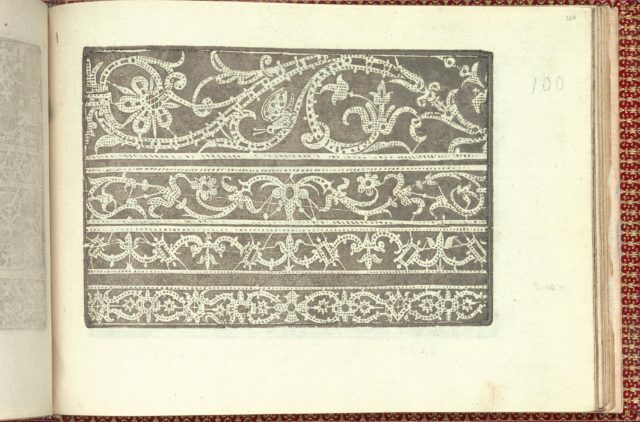 Published by Cesare Vecellio, Italian, Pieve di Cadore 1521-1601 Venice, Venice.From top to bottom, and left to right:Design composed of 4 horizontal registers. 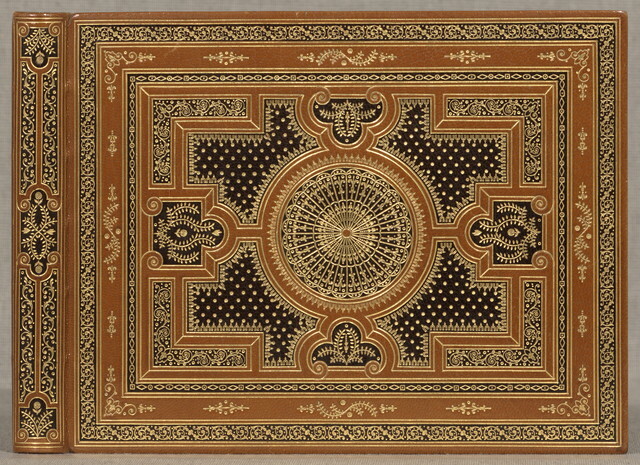 First register is decorated in the center with a flower that is flanked on either side by a composite man and lion creature that in turn surrounds both sides of another flower. 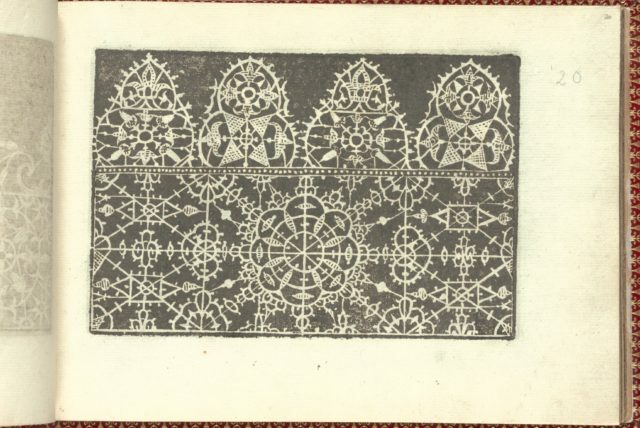 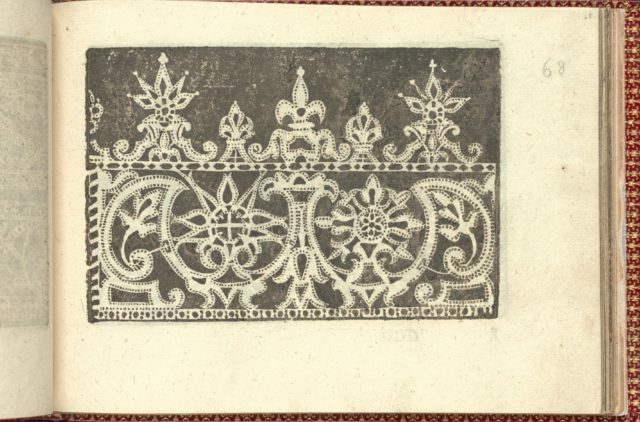 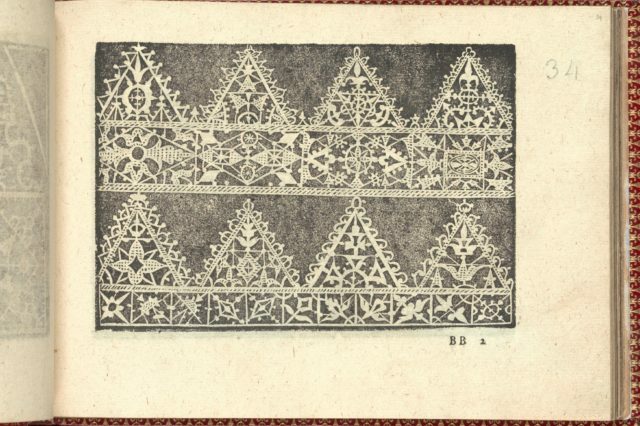 Second register is decorated with an alternating pattern of a diamond and a quatrefoil that are ornamented in the center with a flower. 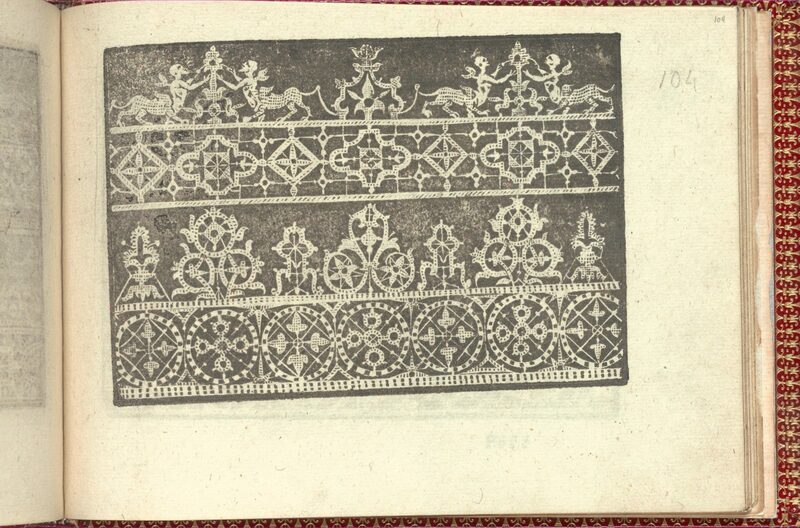 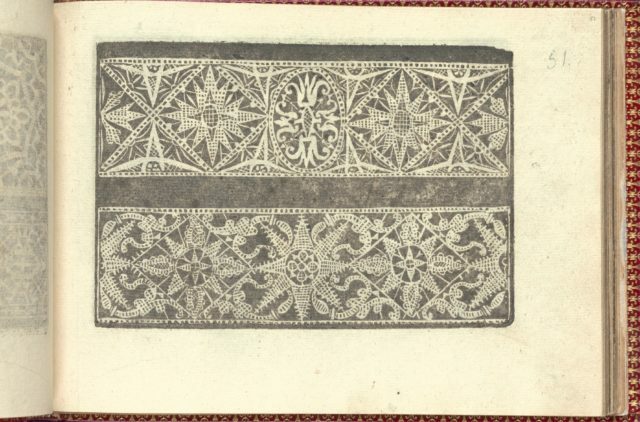 Third register is decorated with multiple floral motifs. 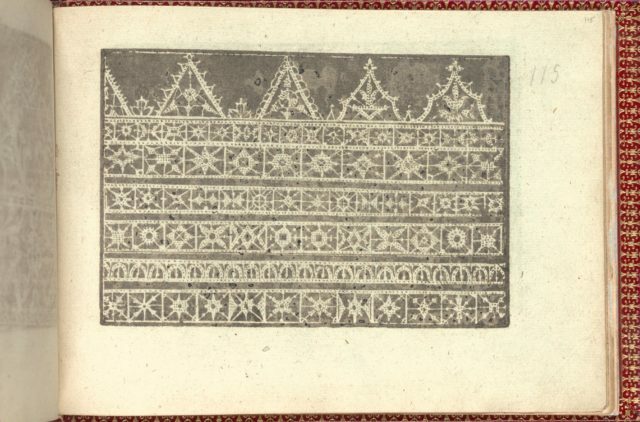 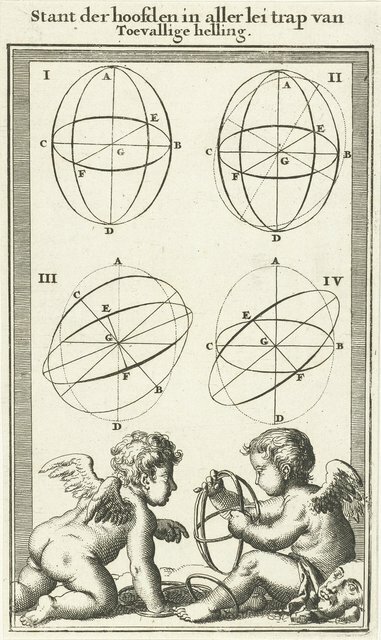 Fourth register is decorated with a pattern of circles containing different 4-petaled flowers.